Yes. You read that right. 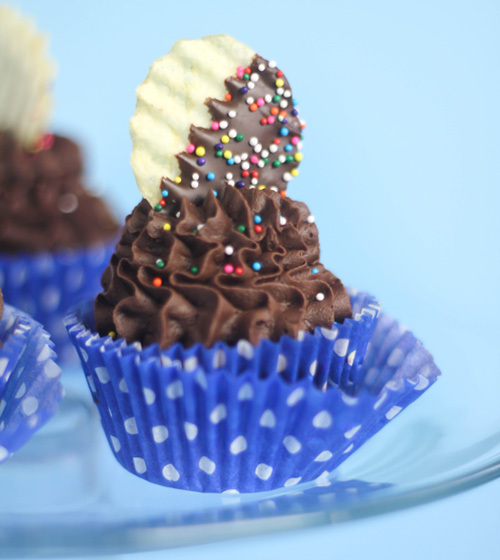 Chocolate-mashed potato cupcakes. We have a whole new year to be adventurous, so I figure, why not. Why not try something new and different and unexpected? And why not since I had a bowl of leftover mashed potatoes just hanging out in my fridge with the dozens of other New Year's leftovers. As I considered this idea, I remembered the chocolate-covered potato chips from the Sweet Confections book and that sealed the deal. They were destined to become chocolate-mashed potato cupcake toppers. I smiled. I giggled. I whipped them up in a flash! Best of all, I totally weirded out Mr. Baird. It was a good day. Now, I've had my fair share of secret ingredient desserts; tomato soup chocolate cake (a Rose Levy Beranbaum recipe), chocolate kraut cake - I even ate garlic chocolate chip cookies once at a garlic festival. They were all really good and not weird at all. The main purpose of the novelty/mystery ingredient is to impart moisture, and it's no different with these mashed potato cupcakes. The cake portion bakes up dense like a pound cake but it is OH-so-moist. I will make these again when I'm staring down a bowl of leftover 'taters. Avoid using mashed potatoes with skins, chives, sharp cheeses, garlic or any other inclusions that would ruin the texture and flavor of the cupcake. If you make runny mashed potatoes, then you may need to add up to 1/8 cup of all purpose flour to the batter. Use mashed potatoes with any combination of these ingredients: salt, butter, margarine, sour cream, milk, heavy cream, half and half, evaporated milk. A little pepper is okay too, just as long as it's not super-duper peppery. Thanks to those of you who sent Christmas cards and letters! I'm so happy to be able to connect with you all on a more personal level. I've already sent out my 1st batch of return letters, so let me know if for some reason you don't get yours. My editor sent me the advance reading copies of the SB book during Christmas holiday. It looks GREAT and I'm super excited and grateful. And excited. And grateful. And looking forward to all that comes in 2012! My scuba-diving sister-in-law just got engaged (he popped the question at 35 ft. underwater!). 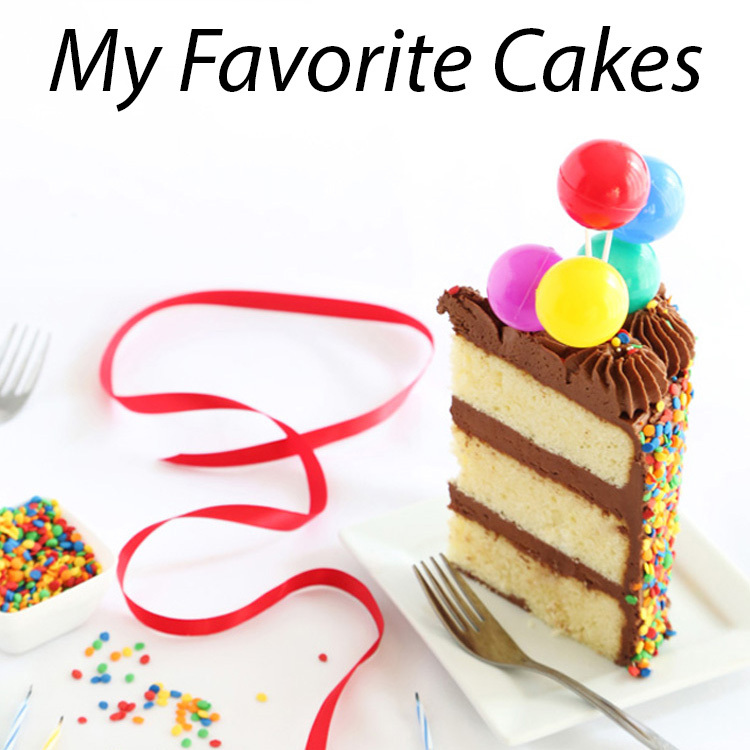 I foresee many wedding cake blog posts in SprinkleBakes' future. Preheat oven to 350. Line cupcake tins with papers and set aside. Whisk together flour, cocoa, baking powder and salt. Set aside. In a large bowl, cream the butter and sugar together, then add mashed potatoes. Whip until fluffy. In a small bowl, whisk the eggs and milk together. Add the flour and egg/milk mixture to the batter alternately, beginning and ending with flour. Mixture will be thick. Fill muffin tins 3/4 of the way full. Bake for 15-20 minutes, or until the cake springs back when pressed in the middle. Let cupcakes cool completely before icing them. Cream the butter in a medium bowl.Add the cocoa, confectioners sugar and vanilla alternately with the half-and-half. Whip until light and fluffy. Transfer to a piping bag fitted with a large open star tip. Note: this part of the recipe can be made ahead for convenience. Pour 3/4 cup of the semisweet chocolate chips in a small microwaveable bowl. Heat at 30 second intervals until half of chocolate is melted and bowl is warm. (I only had to heat for 30 seconds, with no additional intervals needed). Stir very well after each heating. Add remaining 1/4 cup of chips. Adjust microwave to 50% and heat at 10 second intervals until fully melted. Stir between each interval. Dip potato chips in chocolate and place them on a piece of parchment or wax paper. 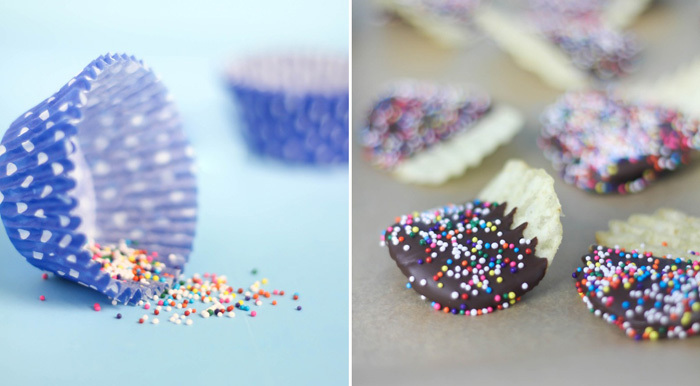 Sprinkle with nonpareils. Let set until completely hardened. 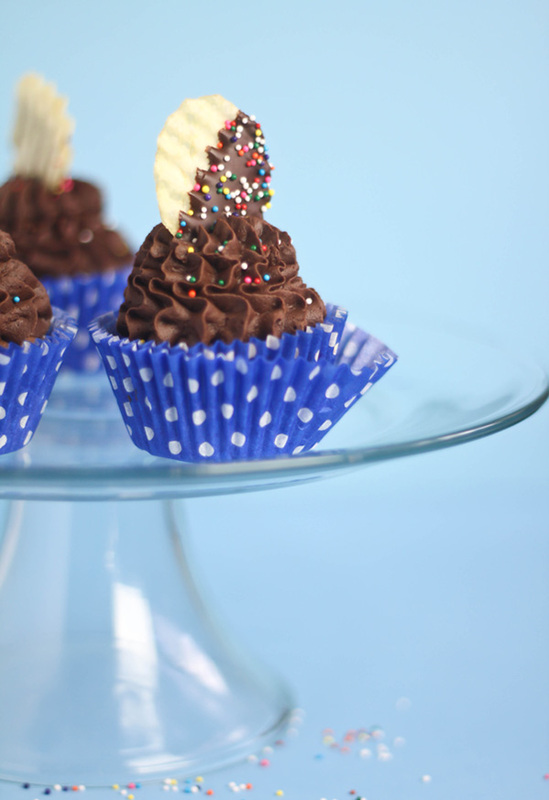 Top frosted cupcakes with one or two chocolate-sprinkle-covered potato chips. Aaaahhh how can one look at this and not smile. I love the salty/sweet combo and the sprinkles are just adorable. Love this! How adventurous! Maybe one day when I'm feeling a little brave. Insane/awesome/perfect!! xoxo Happy New Year dear! A great idea! I bet those cupcakes are delightfully smooth thanks to the mashed potatoes. This is the best mashed potatoes have EVER looked! congrats on the book...can't wait to see the finished product! really out of the box! This is incredibly original! I've never seen anything like it! Congrats on receiving the advanced copy of your book over the holidays! Congrats to your sister-in-law on her engagement and congrats on coming up this totally awesome looking cupcake. Wow, this is an amazing idea! I wish I could have done this after Thanksgiving! You can sell me anything, but actually these cupcakes look wonderful. Congratulations on the new book! ooooh I might have to try these! Such an unusual recipe but sounds absolutely delicious! Would love to try this one out. 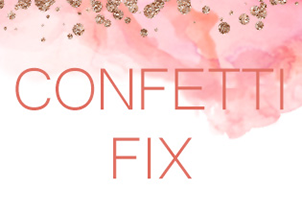 sounds heavenly to me, per the usual! love the garnish too...chocolate covered potato chips sound amazing to me! Oh you tease! But, if it's made by you...we'll probably gobble it down with a big grin. So So yummy looking ! You take amazing pictures of your baked goods, great job ! I totally read the title twice! Haha :) You are SO inventive. 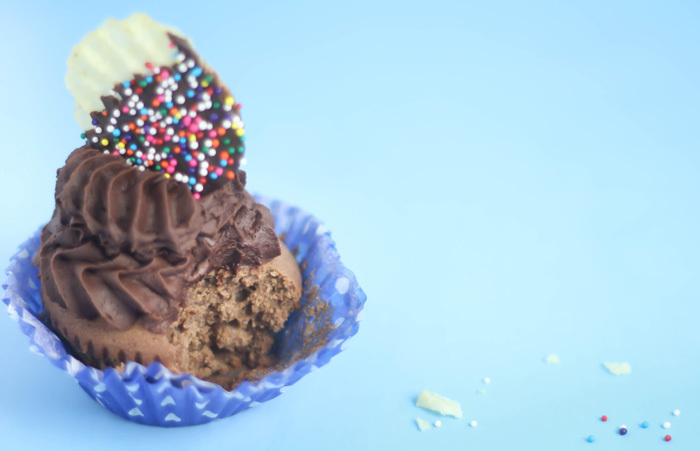 Only you would make Chocolate Mashed Potato Cupcakes and have them turn out delicious! So inventive. The chocolate covered potato chip decoration is just adorable. Congrats to your sister in law. I met my husband scuba diving with hammerhead sharks in Costa Rica so I love anything to do with diving romance. Great proposal. Well Done. Can't wait for your book! Happy New Year. i will definitely try this. this decoration is too good. Very pretty and lovely tutorial. How cool is this! Love the idea and so thrilled about your book! Congrats!! These sounds so bizarre...but I'm intrigued! 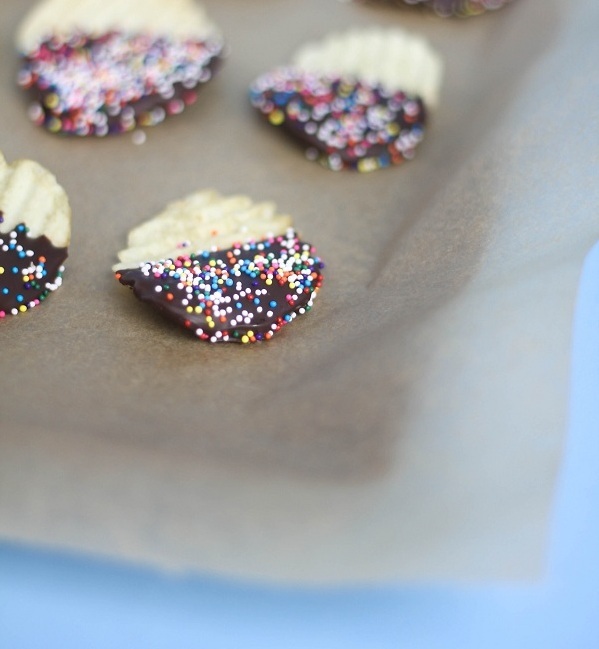 Chocolate and crisps is a great combo so can see how this might work...I have to try these right now! Oh man. These have stolen my heart on the real. My favorite bread is potato bread so I KNOW that if these are wrong I don't want to be right. Love the potato chip on top! Just letting you know that you did not include when to add the cocoa powder- i assume it would be when you are whisking the dry ingredients. Thank you for letting me know! You are correct. Bless you. This sounds like one really interesting cupcake. I would have never thought of putting mashed potatoes into a cupcake. There's a traditional Maine candy called Needhams that's made from mashed potatoes, coconut and chocolate. Your cupcakes look delicious - they'd be right at home in Maine! This is fantastic! 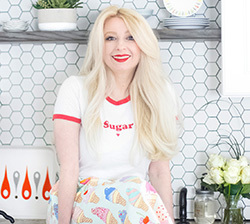 Every delicious savory food gets a new, fashionably sweet transformation! I will not give any food the excuse for not being sweet from now on....I'm looking at you brussel sprouts! Would never have thought of this. They look very tasty and pretty! Oh yes. This recipe makes me want to hug you! thanks for sharing! What a great idea. Love the chocolate covered potato chip. Really cool! Love the sound of this. If anyone knows of anywhere I can try one of these in the UK (without making it myself! ), please let me know. We tried a mashed potato chocolate cupcake at the Taste of Chicago one year. Your version looks and sounds so much better. 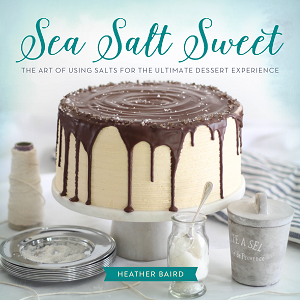 I'm a huge sweet and salty fan so I know I'd love it. That garnish is adorable, not to mention super creative. Wow - talk about an inventive twist on cupcakes! Love the chocolate sprinkled potato chips...very cute. And who doesn't like the combo of sweet and salty?! Must have been good. Can't wait for your new cookbook to come out! Love the combo of sweet and salty. These flavors remind me of a dessert that is popular in Pennsylvania in the springtime - chocolate covered potato eggs! What a clever idea, and I bet the texture is delightful! Well you know what? I bet these are delicious! They look beautiful. This sounds so interesting! And I'm in LOVE with the chocolate dipped chip...so cute! 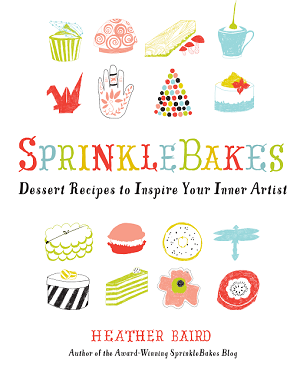 Can't wait to try your cupcakes! Alternate to eggs pls. I'm a vegetarian. Hi! 1/3 cup unsweet applesauce.